Exxaro Limited, the South African resources group, has signed a Term Sheet with Australian technology company, Linc Energy, to pursue underground coal gasification (UCG) for energy solutions in Sub-Saharan Africa. However, moving from Term Sheet to fully executed agreement is not without careful attention and some detailed negotiation about the IP. 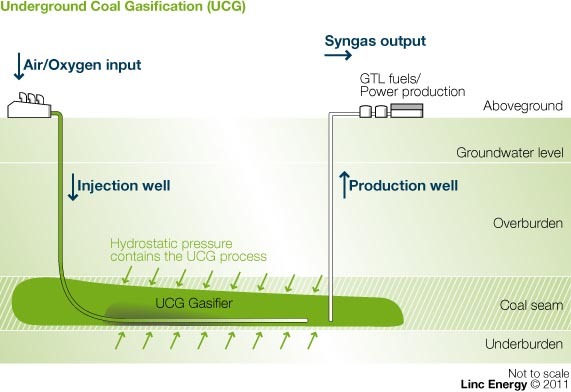 "• Exxaro will pay an agreed upfront licence fee and ongoing royalties for the synthesis gas produced for the access to Linc Energy's UCG technologies for application in Sub-Saharan Africa (the Region). • Exxaro will be granted a non-exclusive licence to use Linc Energy's UCG intellectual property in the Region. • Exxaro will have conditional access to Linc Energy's UCG intellectual property to jointly develop UCG commercial opportunities on their coal resources outside the Region. 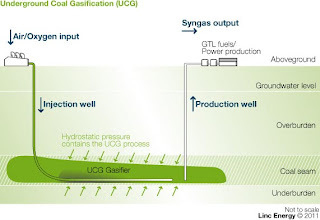 • Linc Energy will hold a minimum of 15% equity in the first project and have the option to participate up to a 49% equity position in all UCG projects which Exxaro develops." 1. Typically, a technology firm’s main interest is to further its technology whereas a resource firm’s is to mine or work with resources and not develop IP as a main function. This can lead to differences over strategy and implementation, and disagreement. This needs to be thought through. 2. The technology that is being transferred, in this case through a non-exclusive licence, is often a mixture of know-how, copyright and patents. This means that careful analysis and documentation of the background IP (of both parties) is crucial. More often than not, the local company will believe that it does not own any IP! This misdirection may lead to a misunderstanding of the licensee's value in the transaction or that IP may in fact be exported through the deal which may need exchange control approval. 3. The practical effect of the transfer of technology needs to be taken into account to ensure that the know-how remains proprietary, particularly in a non-exclusive environment. This is also of interest to the licensee who is paying a royalty for information that may easily end up in the public domain if other licenses are not strongly controlled. Furthermore, access to training and adequate facilities to enable to tech transfer need to be set up. 4. From a patent perspective, the usual period of protection (20 years) may not be a particularly long period for a mining project and that effect needs to be considered. Patent protection needs to be obtained (assuming that to be important to the Licensor) and a clear understanding of its enforcement in Sub Saharan Africa is important for both licensor and licensee. In any event, the IP strategy (eg patenting v know-how) of the Licensor needs to be formulated, protected and clear and the licensee should be assured that its position in protected (from copyright infringement too) if an infringement occurs as that is one of the reasons why they are paying a royalty. And yes, there have been reports of counterfeit power stations. 5. Undoubtedly, foreground IP i.e. IP developed though the collaboration process is also of primary importance. For the licensor this IP may contain valuable improvements to the existing technology which will sit in the joint venture vehicle and may need to be licensed out if the Licensor is to make use of those improvements elsewhere. If the foreground IP is developed in collaboration with external consultants then agreements need to be set up. At the very least an IP manager needs to be appointed within the local company. 6. There are some practical problems to splitting jointly owned know-how and IP generallly if there is ever a termination of the license. Unscrambling an egg is not easy and so the termination clause requires thought. 7. There may also be exchange control considerations for IP that is to be exported (and I say this in the widest sense possible). This (and other reasons) may require upfront valuation of the IP or consideration as to the domicilium of the joint venture company. As a final thought, this deal involves gasification technology to produce alternate green energy solutions that are good for the planet. It is interesting and perhaps even ironic that although in this instance the technology appears to have been developed in Australia, there are local companies using gasification for green projects where the technology was developed in Europe during World War 2 under more sinister conditions.